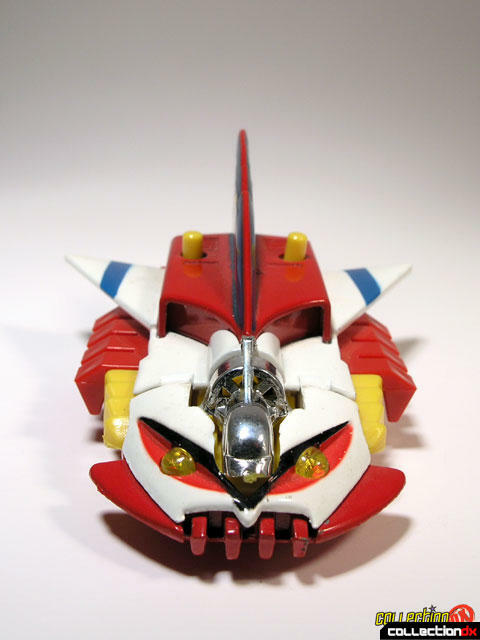 Although most fans know this toy as Rydoto, from the Shogun Action Vehicles line, it was originally released as Bluegar from Popy's Popynica line. It is also known as Bluger Tank. Bluegar comes from the anime series Brave Raideen. 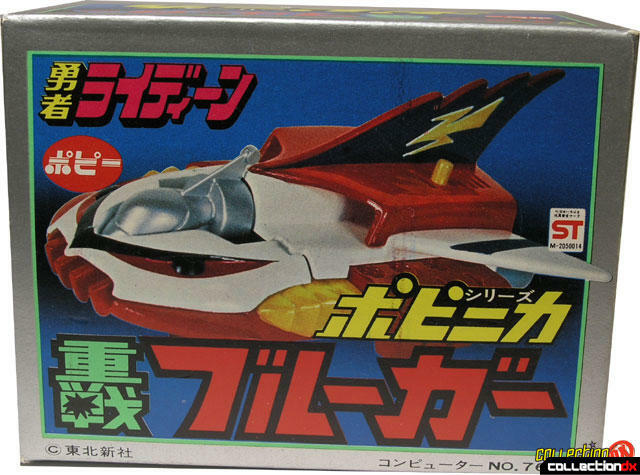 The Bluegar was a support ship for Raideen, and it launched a small vehicle called the Spit Fighter from its nose. 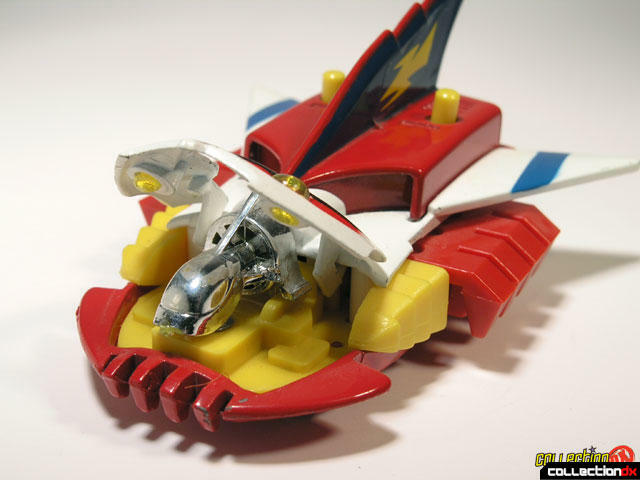 The toy is only about 4 inches long, and it is made out of diecast metal and plastic. There are 2 main gimmicks to the Bluegar. First, the front section opens to reveal a small, silver Spit Fighter. 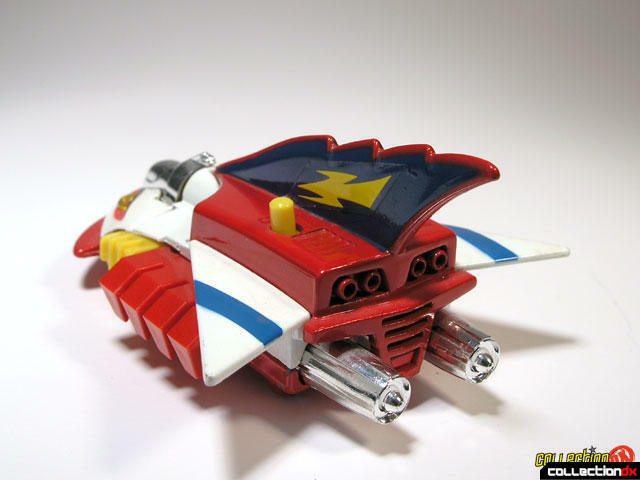 When you press the button on the top, the Spit Fighter launches off. The second gimmick involves the "wings", or whatever you want to call those red segmented banks on either side of the back. 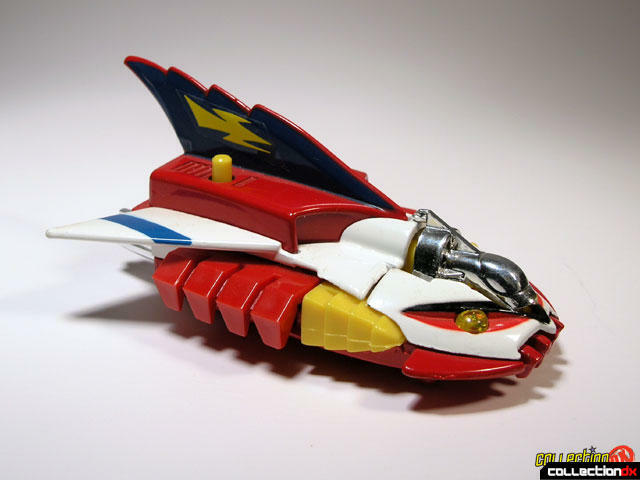 Push a button on either side of the tail and the wing sections pop out. There are also metal wheels on the bottom. 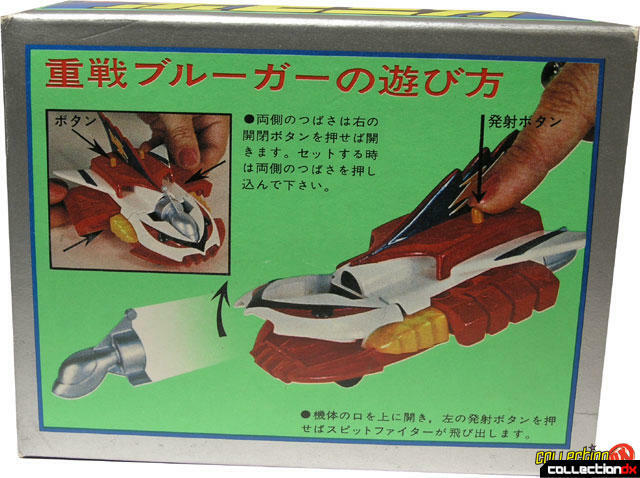 A cool little toy, great for fans of Shogun Warriors or Popynica.